Research has shown that low levels of vitamin C has been linked to impaired cognitive function. 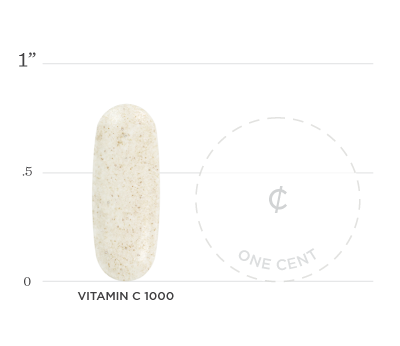 Vitamin C can be synthesized in the body by most animals, but not in humans; so getting enough in the diet or through supplementation is crucial. It helps create collagen, amino acids, neurotransmitters, and proteins while regenerating other antioxidants in the body. Vitamin C may help the body maintain a balanced inflammatory response while improving overall gum health and healthy vision. It can assist with iron absorption and helps the body balance progesterone production. 2. Chakraborthy A, Ramani P, Sherlin HJ, Premkumar P, Natesan A. Antioxidant and pro-oxidant activity of Vitamin C in oral environment. Indian J Dent Res. 2014;25(4):499-504. 3. Rubinoff AB, Latner PA, Pasut LA. Vitamin C and oral health. J Can Dent Assoc. 1989;55(9):705-7. 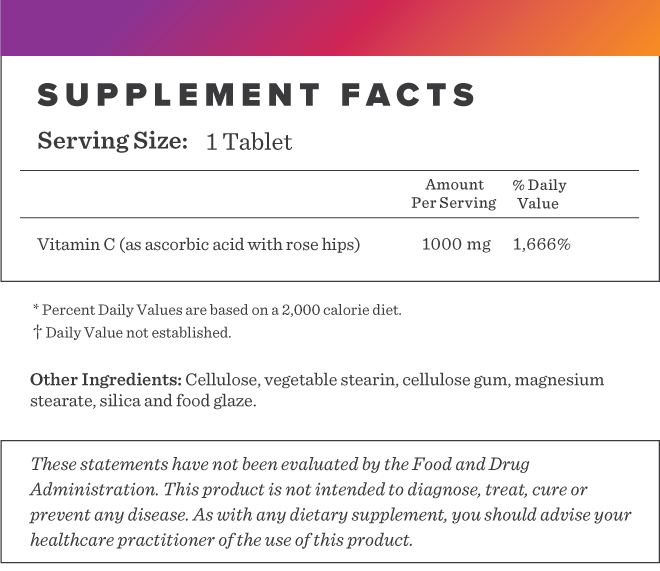 Below we've broken down the main functions of our Vitamin C 1000mg and the benefits it can provide. It helps the immune system by supporting various cellular functions. It is a protector against environmental and oxidative stress. Vitamin C has a role of being an antioxidant in physiologic conditions and a pro-oxidant under pathologic conditions. Adequate vitamin C status has been recommended by dentists for decades. It plays an important role in building collagen which helps the body develop and maintain healthy gums.